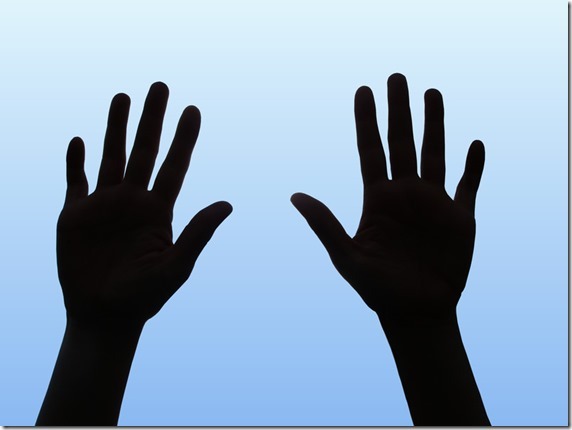 If Surrendering to God is a Biblical Concept, Why Isn’t it in the Bible? It’s in our religious vocabulary. Surrender your life to Jesus. Ministers talk about the time they surrendered to the call to the ministry. So it’s definitely a Christian concept in the sense that Christians use the word all the time—but is it a biblical concept? For that we have to look in the Bible, because it seems to me that if something is going to be called a biblical concept, it ought to be, you know, in the Bible. Or maybe that’s just me. I’m simple like that. So to research the biblical concept of surrender, I looked up every time that the word “surrender” in any of its forms occurs in the Bible. Didn’t take long, because it only appears in the Bible 7 times. 1 Samuel 23:12 and 23:20; Jeremiah 21:9 and Jeremiah 38: 17, 18, and 21; Jeremiah 50: 15; Deuteronomy 20:11. All in the Old Testament. Not at all in the New Testament. I figured “Surrender your heart to Jesus” had to be in the New Testament. That’s in the New Revised Standard Version. If you look in the real English translation of the Bible—the King James Version—well, that’s a different story altogether. In the King James, the word “surrender” appears—nowhere at all. That’s none. Nada. Zero. Zip. So is surrendering a biblical or Christian concept at all if it’s not in the Bible? Jesus wants his disciples to understand that they can’t handle what’s ahead by themselves. They must let go and seek God for help in the coming hours. Jesus tries to warn Peter: “I tell you the truth, today—yes, tonight—before the rooster crows twice, you will disown me three times.” The “three times” hammers home to Peter how far he’s capable of falling. After the Passover meal Jesus goes to the Garden of Gethsemane. Watch what happens when Jesus, the Eternal Son of God, the One who existed since all eternity past in perfect and unbroken union of love and joy with the Father and the Spirit, now, as a human being, faces a great test. He is “deeply distressed” and “troubled.” From the moment of his baptism on, Jesus was thrown into a great battle. This is simply astounding. If the Eternal Son of God lives to surrender and surrenders to live, doesn’t that tell us something about reality? Surrender is woven into the person of God as a Trinity of Love. The Son submits to the Father. The Father seeks to honor the Son. The Spirit points back to both the Father and the Son. The Father and the Son send the Spirit as their representative. True surrender isn’t a response to defeat; it’s a response to love.